First things first… you can get a USB hub from Solid Signal for a very low price. And I’m not saying you shouldn’t get one of those. I’m saying that it’s not going to give you everything you want out of life. If you’re seriously going to use a USB hub, you are going to to two things with it. You’re going to connect more stuff to your computer with it, and you’re going to charge things. That’s just the way life works in the late 2010s. That’s why you need a powered hub like this one. Let’s look at why a more expensive hub helps you with those two pursuits. Of course you want to connect more things to your computer. My computer has five USB ports and they’re all full. Granted, I could unplug cables here and there but I’d rather not. I have a USB display adapter, a lightning cable, microUSB cable, keyboard, mouse and the last plug goes to a USB hub so I’m not completely out in the cold. Those permanently attached cables do cover me most of the time but there are flash drives, memory cards, new devices all the time. In a case like this you should have a USB hub that supports at least USB 3.0. I think it may be a bit early to talk about supporting USB 3.1 or 3.2. Those standards use the USB-C connector which will eventually take the place of the old-style ones, but we’re not quite there yet. A USB 3.0 connection has a blue plastic insert and can move data around at much faster speeds. Older devices can connect to it and they will perform at their max speeds. You charge your phone with your computer. I know, we all do it. There are plenty of other things you could be charging as well, from power banks to DSLRs to Bluetooth devices. Charging is a big part of the experience today. One day our devices will make their own power from solar or kinetic energy or just by adding water to them, but for today we are stuck with batteries and most things need charging roughly every day. 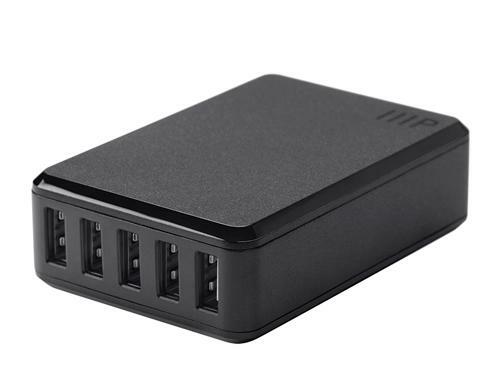 An inexpensive, non-powered USB hub is not going to charge your devices effectively. Charging may be slow or not at all, and certainly you’re not going to get support for “fast charging” which is the standard that allows your newer phones or tablets to get back running quickly. A powered hub can provide a lot of amperage to power almost any possible device. When USB 3.2 comes in it’s going to be powerful enough to charge almost anything you can imagine. When you need to know that your phone will charge quickly, you’ll want a powered hub. I’ll grant you that it’s annoying to have that extra power cord, and potentially with USB 3.2 you won’t need it, but for the meantime you will be really glad you have it when you and your three friends all need to charge your phones at the same time. When you’re ready to shop for a USB hub, please check out the great selection at Solid Signal!